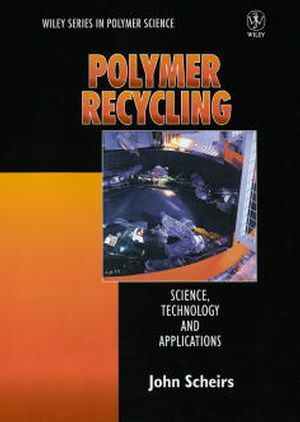 Provides an overview of state-of-the-art recycling techniques together with current and potential applications. A comprehensive volume which will prove to be invaluable for polymer manufacturers, recyclers and marketers as well as environmental authorities and materials engineers. 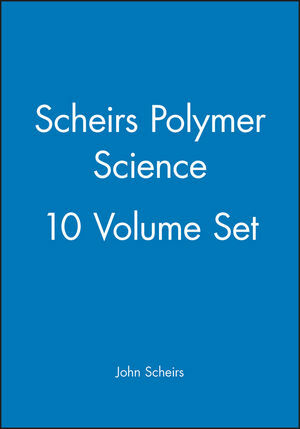 Dr. John Scheirs has worked extensively with poly and related polyesters. His early work involved studying the UV stability of PET and poly- ethylene naphthalate - in France and later he was involved with studying various industrial problems involving polyesters, such as photodegradation, annealing, crystallization behaviour, embrittlement, degradation by aminolysis, differential scanning calorimetry analysis, environmental stress cracking, hydrolysis, nucleating agents, transesterification, injection moulding of recycled PET compounds, solid-state polycondensation, desiccant drying of PET and melt stabilization of PET. More recently in the period 1998-2000, he was the technical manager for Coca-Cola Amatil's world-first PET reforming plant which converts post-consumer PET bottles into high-grade, high IV palletized PET for direct reuse in new bottles and injection and sheet moulding applications. John Scheirs is now the principal consultant with ExcelPlas Polymer Technology where he specializes in polymer recycling chemistry, formulation, processing and testing. Size Reduction of Recycled Plastics. Melt Filtration of Contamination in Recycled Polymers. Feedstock Recycling--Pyrolysis, Hydrogenation and Gasification. Incineration of Plastic Waste with Energy Recovery. Plastics Lumber Based on Recycled Polymers.